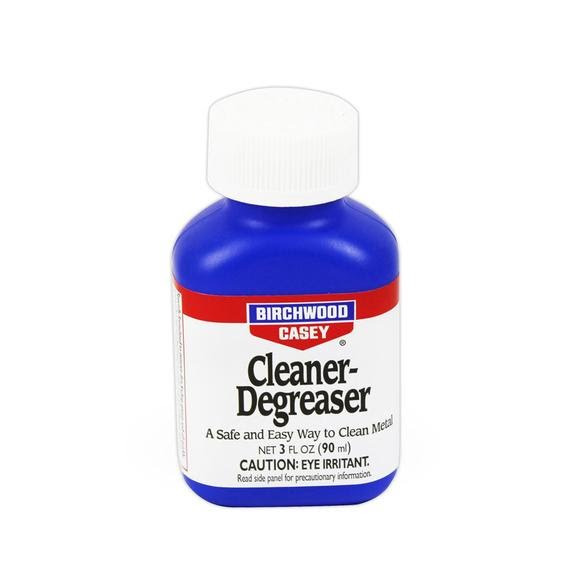 Birchwood Casey's Cleaner Degreaser is specially formulated to remove dirt, fouling, grease and oil quickly and easily. It's a safe, easy and effective way to clean your firearm thoroughly or as a preparatory cleaner for blueing or browning. Birchwood Casey &apos;s Cleaner Degreaser is specially formulated to remove dirt, fouling, grease and oil quickly and easily. It&apos;s a safe, easy and effective way to clean your firearm thoroughly or as a preparatory cleaner for blueing or browning.